1. What or who is ZimLA? 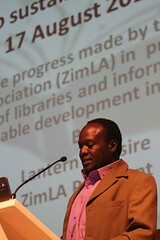 ​Zimbabwe Library Association (ZimLA) is the professional association that represents the interests of library and information professionals in Zimbabwe. 2. Does ZimLA have an Office I can Visit? 3. How do I get in touch with a ZimLA Branch or Executive member? 4. Who can join ZimLA? What does it cost? And what are the benefits? 5. Where do I find job listings for libraries in Zimbabwe? 6. I'd like to grow and develop as a library professional. What learning opportunities does ZimLA offer? 7. Where and when does ZimLA hold its Conference? 8. What are the requirements for exhibiting at the ZimLA Conference? 9. What opportunities does ZimLA offer me to share my ideas and experience with other information professionals? Do I have to be a member? 10. Does ZimLA have Interest Groups? 11. What do ZimLA Interest Groups do? 12. Why should I join an Interest Group? 13. What are the conditions for one to join an Interest Group? 14. I just joined ZimLA. What should I do next? 15. How can I become a sponsor or partner of ZimLA? 16. Does ZimLA award its members for contributing to the profession? 17. What is the governance structure of ZimLA? 18. Can I market my books and business through ZimLA? 19. 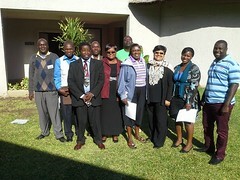 How can I donate books to Zimbabwean Libraries through ZimLA? 20. How many and what type of libraries are found in Zimbabwe?